Livekindly recently contacted me for an interview about successfully transitioning to plant-based, healthy vegan nutrition. I like the questions Emily Dreeling asked,and the way the article came together, integrating the topics of The Plant-Based Journey and The Mindful Vegan. Internet kindness and courtesy demand, however, that rather than reposting the article in its entirety here, that instead I link to the original. Here is the beginning of Emily’s interview as posted at Livekindly, along with the link to read and enjoy in its entirety. Or you can skip right to the full interview on the Livekindly site here. 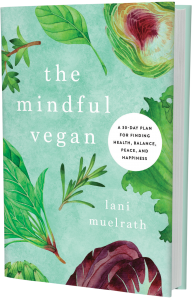 The Mindful Vegan: A 30-Day Plan For Finding Health, Balance, Peace, and Happiness is due to hit the shelves soon (October 10th, everyone! )…it sounds pretty exciting, can you talk a bit about what it entails? The inspiration for its writing etc.? 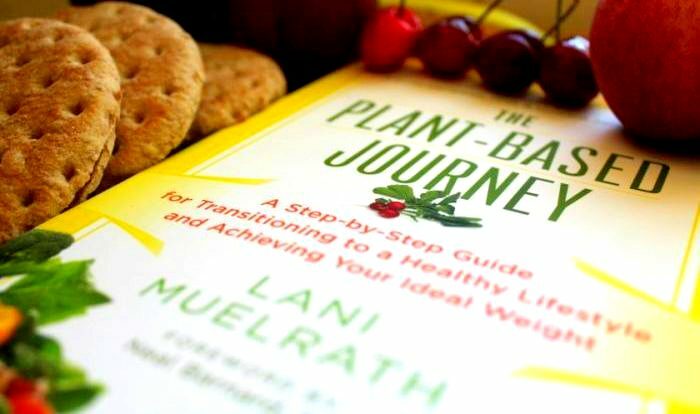 LANI MUELRATH: You can know all the best practices for becoming healthier and more resilient – the nutrition to aspire to, and how to exercise – but, unless you get some degree of mastery over your habits of thinking, you are destined to stay stuck in patterns of reactivity and habits of automaticity. Mindfulness gets to the root of these problems so that not only can you create fresh responses and improve your habits, but you uncover your innate happiness, compassion, and capacity for kindness and equanimity. This has been my personal experience. When I undertook mindfulness practice 25 years ago, I was finally able to transform the problem I had with a relationship with food, eating, and my body. This restored the pure joy of eating and also resulted in the loss of around 40-50 pounds which I maintain to this day. Mindfulness practice, for me, has been linchpin. LIVEKINDLY: So, being your third book, we’re hoping there’s more in the pipeline! You are one-of-a-kind out there in terms of providing solid hands-on advice for anyone wishing to begin, and successfully continue, a plant-based lifestyle. Do you have plans for a fourth similar installment? We’ll take all that we can get!